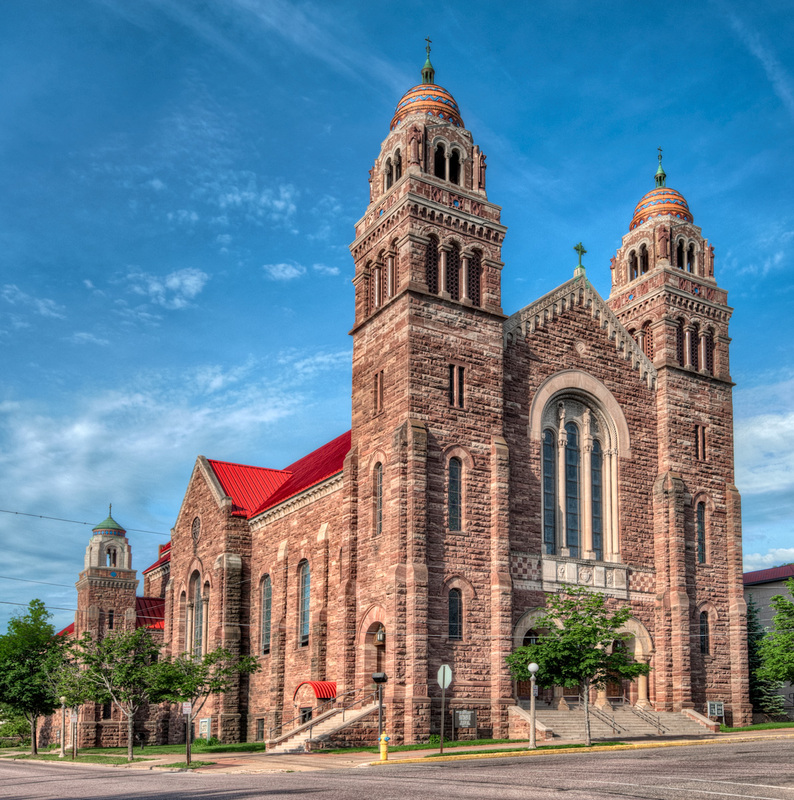 One of the things which surprised me on my family’s visit to Marquette, Michigan was the interesting older architecture of many of the buildings. I was also surprised at the number and variety of churches for a town of approximately 20,000. 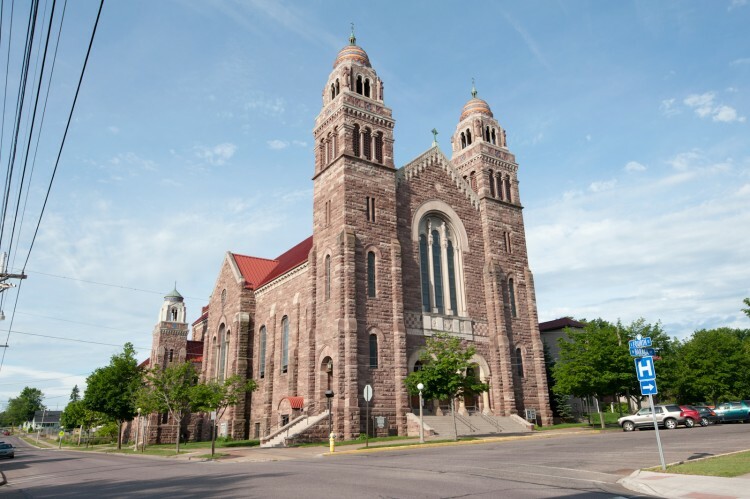 It wasn’t too surprising to see a Catholic church, however, since the city was named after Father Jacques Marquette, a French Jesuit missionary. What I love about this church is all the detail work, especially the tile work on the domed towers. I took several pictures, both of the entire structure as well as some of the detail work. The image was taken in the morning to capture the light on the face of the church. The church faces north and morning in the summer is the best time to capture the light on the front. The 5 exposures were done hand-held, but I was resting the camera on top of utility box to stabilize it. Processing started in Photomatix but I finished in Photoshop with some help of PhotoTools. I used a layer created from Silver Efex Pro2 in Luminosity mode to bring out more detail, particularly in the sky, but this also resulted it a lot of noise so I backed off on the opacity. The image still has more noise than I would like so I may try to process it again to see if I can avoid it. Great crop and processing. Those highly colorful domes are crazy cool against the sky. Wonderful work! Great rich tones and textures in that building! Great shot! Wow. You really processed nicely. Compared to the uncropped image, the cropped image is leagues ahead. Great job. Thanks, I was using a wide angle lens and I always planned on cropping. I would have preferred to shoot a little flatter as well so that the perspective didn’t need so much correction, but it wasn’t too bad. The perspective correction works wonders with this shot.